Light Transmitting Panels (LTP) made from fibreglass feature versatile, protective advantages for achieving long-term building ROI. 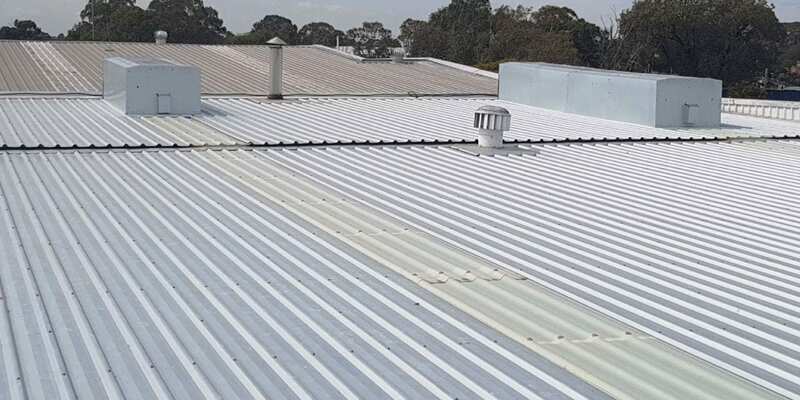 Fibreglass roof panels, whether corrugated or flat sheet, are engineered for a wide range of performance options and set themselves apart from other transparent roofing panel materials. 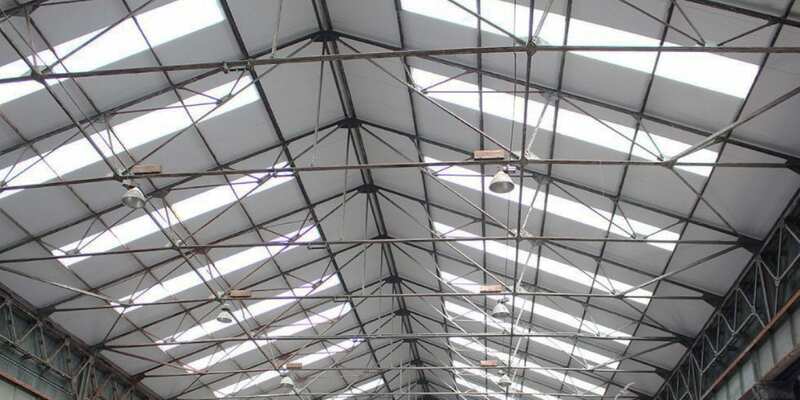 Combining embedded fibreglass strands with formulated resins, commercial businesses and warehouses can choose from an array of highly durable, translucent roofing options. In the 1960’s, fibreglass composites were slowly introduced as a base material for shingles in private home construction thanks to its lighter weight and flexibility. 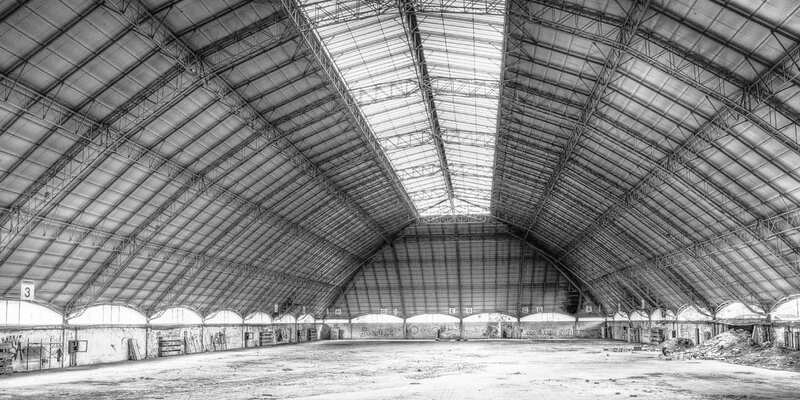 As advancements in polymer resin and fibreglass manufacturing took shape, larger, more dimensionally stable, clear roofing products were made available for commercial businesses and warehouses. Further progress saw the introduction to varying degrees of light transmission and UV protection for all types of clear, translucent, coloured and opaque roofing options. 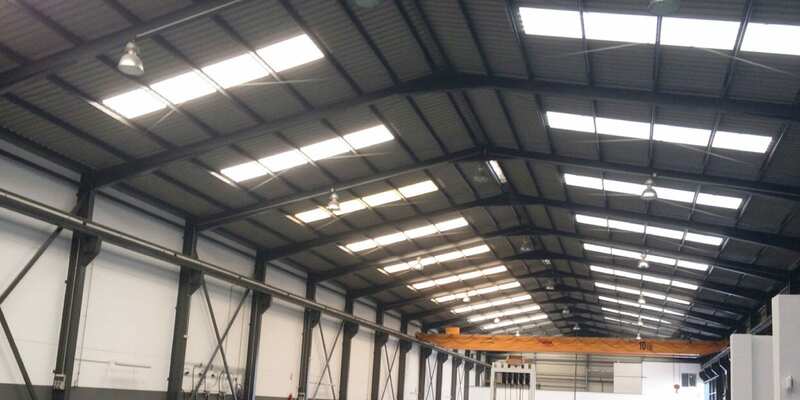 By either limiting or maximizing the amount of natural light that passes through fibreglass panel roofing, commercial facilities can lower energy bills, control temperatures and offset their operations with natural sunlight. 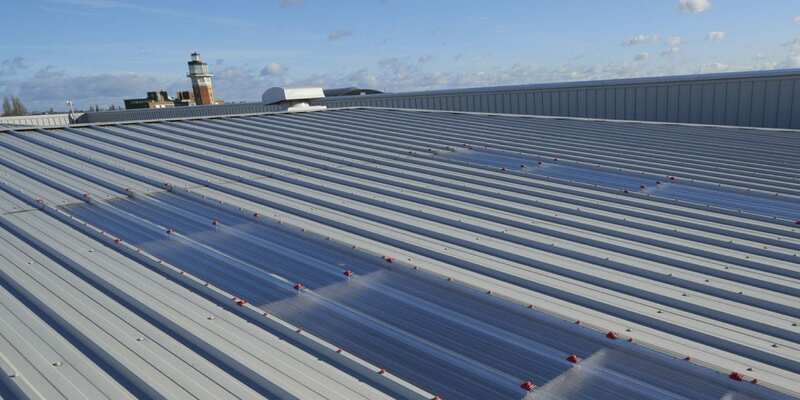 Today, plastic roofing sheets now accommodate a broader spectrum of structural and environmental tolerances than ever before, virtually eliminating the need for maintenance when properly installed or integrated into existing industrial roofs. Fibreglass panels offer exceptional cost vs. performance value over materials such as wood, vinyl, aluminium, steel, PVC, and polycarbonate roofing sheets. 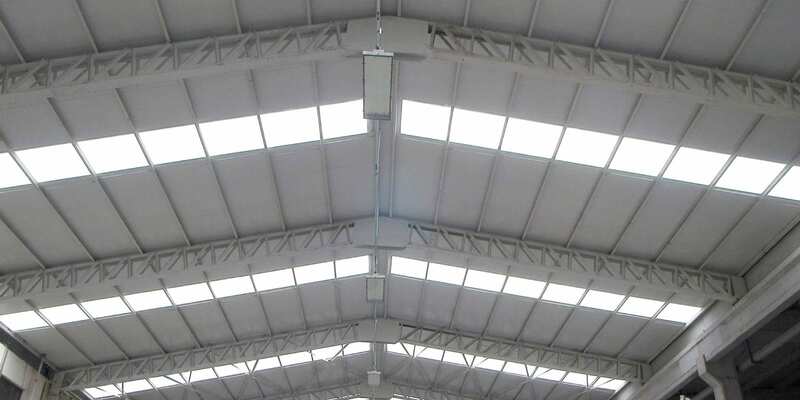 While there are PVC roofing materials and polycarbonate panels that share similar characteristics, serious consideration is necessary when comparing the overall strength, weight, and light transmission factors for clear roof sheeting made from fibreglass. 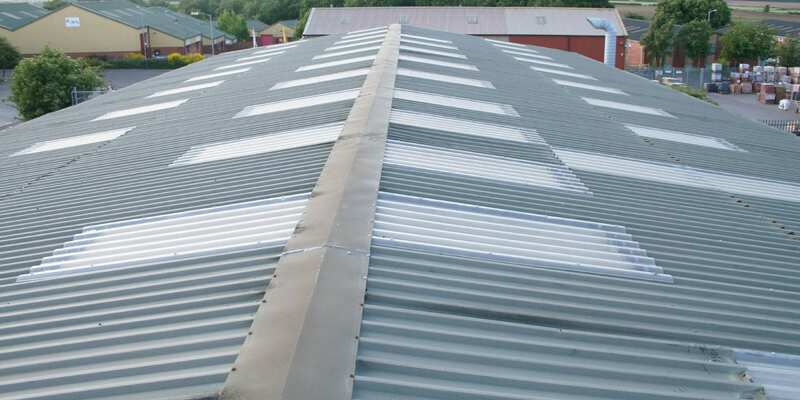 Fibreglass corrugated roofing panels, along with flat plastic sheets, are available with numerous shape and size profiles. Either one can be custom manufactured, cut-to-order and engineered with the same material and protective characteristics. 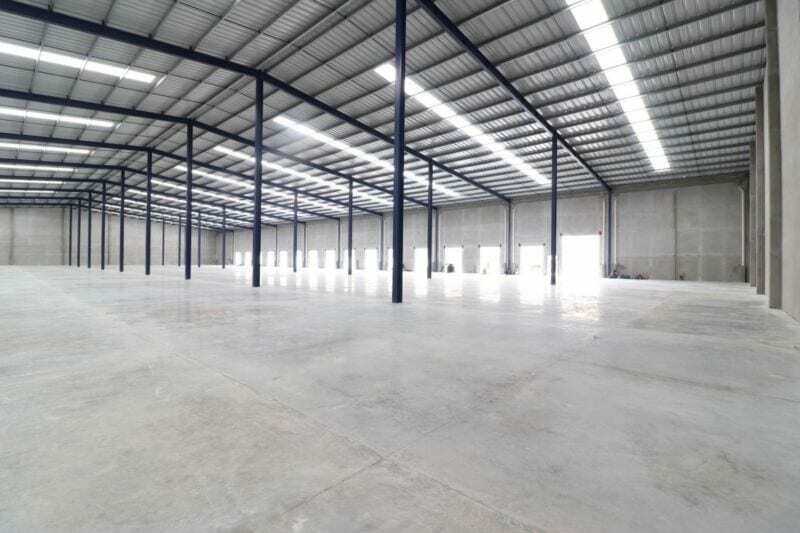 Flat roofing sheets are commonly used for homes, public spaces, and small businesses, protecting outdoor areas from the elements while permitting varying degrees of light and heat. 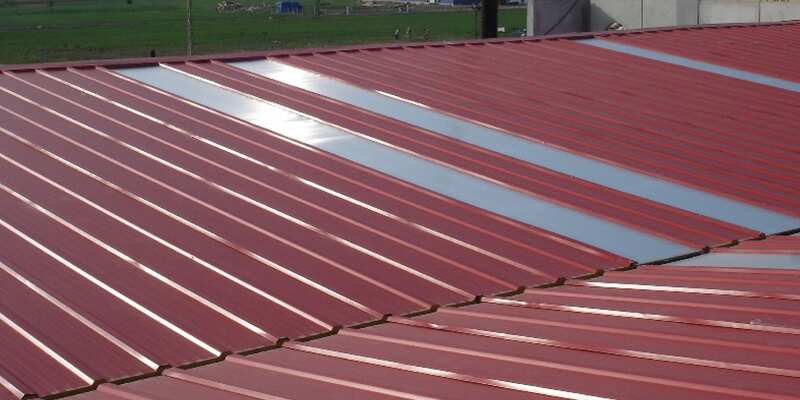 Many flat roofing sheets are surface coated with colors and tints. Decks, patios, greenhouses, parks, and restaurants can utilize flat sheeting panels for both practical and aesthetic applications. Corrugated roofing sheets primarily serve commercial warehouses, factories, manufacturing plants, farms and other industrial buildings. Corrugated profiles feature rib designs that vary by manufacturer and typically depend on the roof’s geometry, pitch and mounting method for installation. 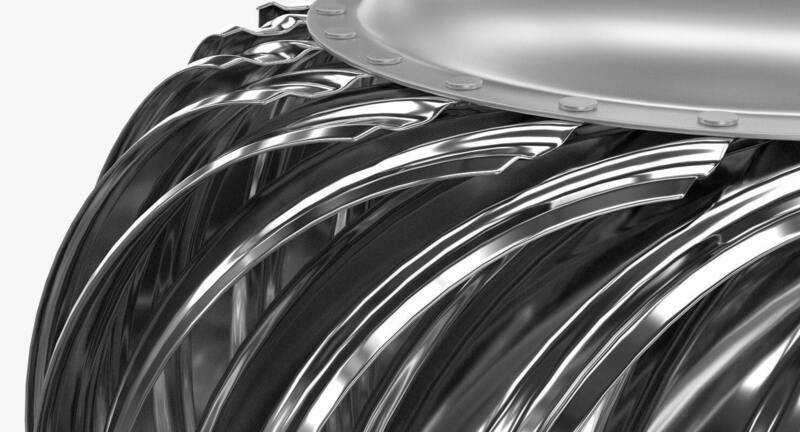 They can also be overlapped when installed for increased holding strength and water tightness. Corrugated roofing provides better overall roof drainage from water or snow when compared to flat roofing panels. Competing plastic roofing products made from PVC (polyvinyl chloride) and polycarbonate have greater susceptibility to dimensional changes over time. 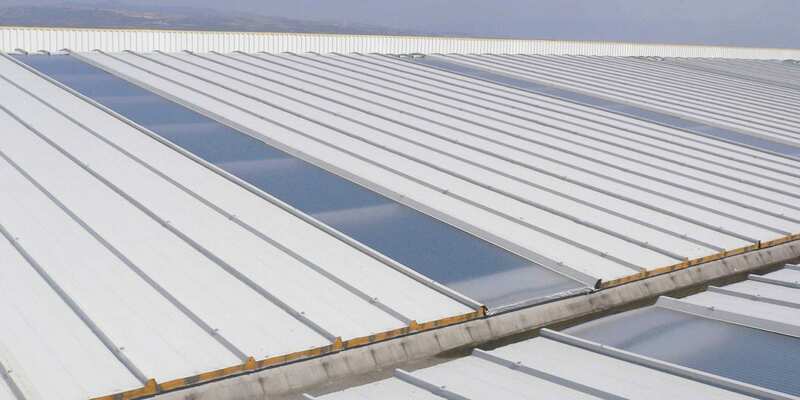 Excessive exposure to sunlight and temperature fluctuations will eventually lead to warping in products such as polycarbonate roofing panels or corrugated PVC roofing. 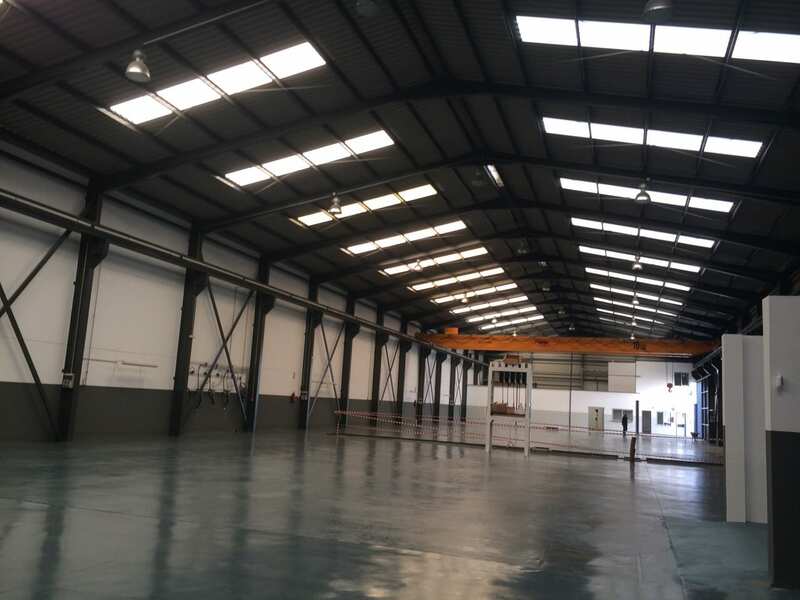 Even when mounted according to exact specifications, warping produces changes in the profile of the roofing panel, leaving it prone to cyclic expansion and contraction. This will ultimately lead to cracking. Fibreglass roofing products feature a lower coefficient of thermal expansion when compared to other plastic sheeting options for roofs. Every clear, opaque, transparent or translucent roofing material on the market today carries some type % rating that measures light transmission. 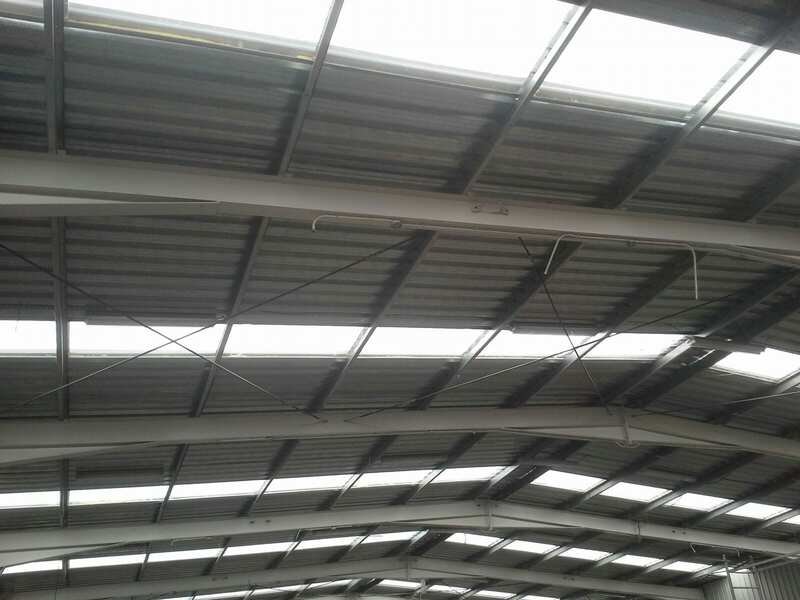 The higher the percentage, the greater the amount of light that can pass through the roofing panel. This rating is a function of both material thickness and composition, taking into account how much light is actually reflected away (rather than absorbed) off both the front and back of the panel. For example, Plexiglas roof panels carry an average rate of 92% (4% on the top of the panel and 4% on the bottom). This is as good, if not better than glass roofs and skylights. In either case, both are more expensive, heavier and difficult to install. 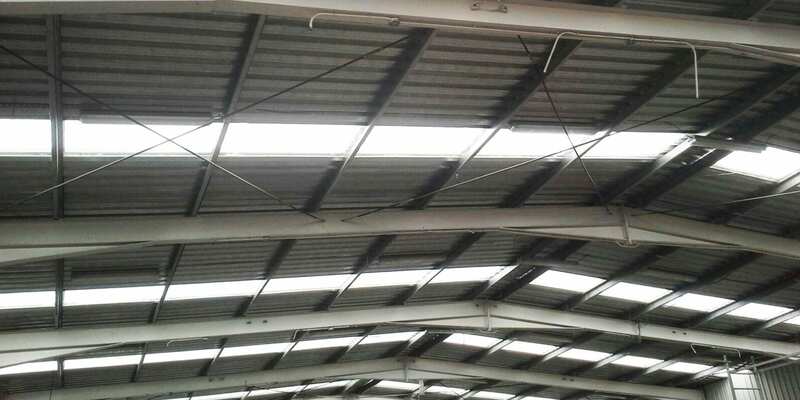 In comparison, polycarbonate and PVC roof sheeting have a lower rating of or below 88%, especially as thickness increases. Thanks to the manufacturing process for fibreglass roofing sheets, the combination of polymer resins and fibreglass strands allows for up to a 90% light transmission rating. 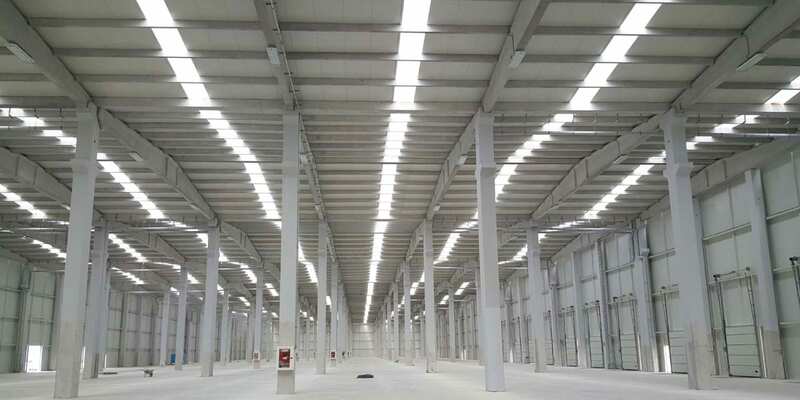 With semi-translucent colours such as white or green, light transmission is considerably easy to achieve and yields better results than either polycarbonate plastic sheets or PVC roofing panels. The addition of UV protective polyester resins, custom mixed with fibreglass material, reduces colour shift, yellowing, cracking and other UV-based wear and tear. Strong and lightweight, fibreglass roofing products offer mechanical advantages that make them a preferred choice for industrial buildings. Fibreglass strands are molded into the sheet with unidirectional, continuous filament strands, reinforcing each sheet for good tensile, impact and flexural strength. These clear roofing panels feature lower thermal expansion than polycarbonate sheets, steel materials, and aluminum roofing panels. Properly installed, clear fibreglass roofing panels support weight from snow, withstand hail impact and maintain stability in high winds. 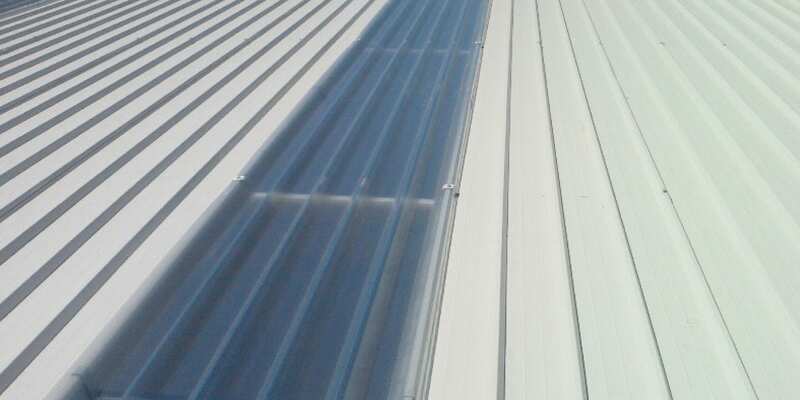 Depending on the type of UV resin, clear roofing panels made from fibreglass offer superior chemical and corrosion resistance when compared to alternatives such as polycarbonate or PVC sheets. 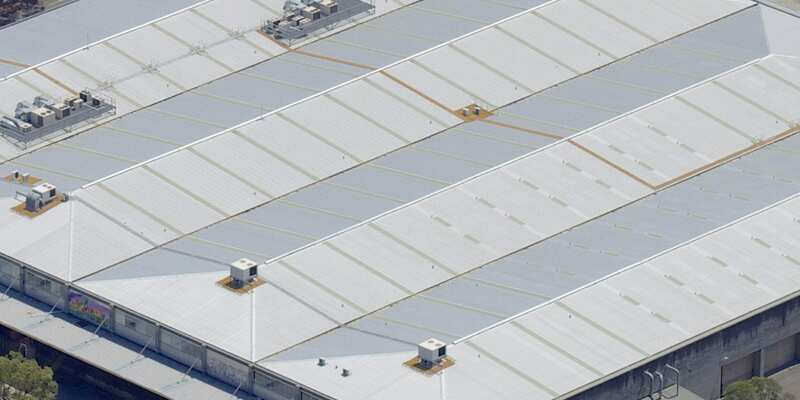 There are various polyester and vinyl ester resins that can be added in order to tailor performance, enabling commercial warehouse roofs to stand up to severe weather, vapour or chemical corrosion, and UV resistance. 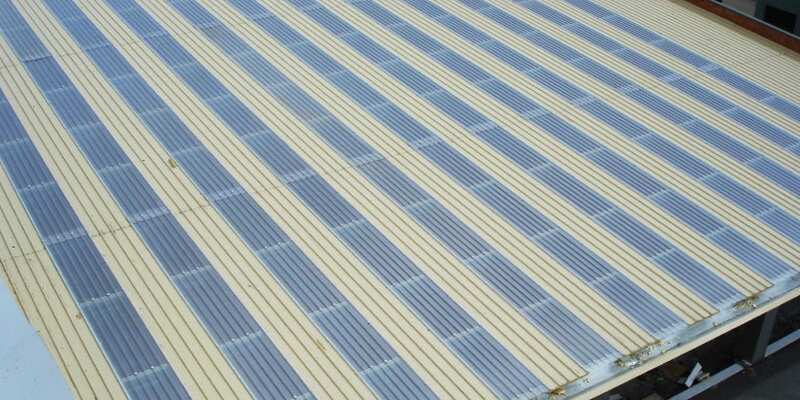 In addition, clear plastic roofing sheets can resist algae buildup or the effects of salt water corrosion. 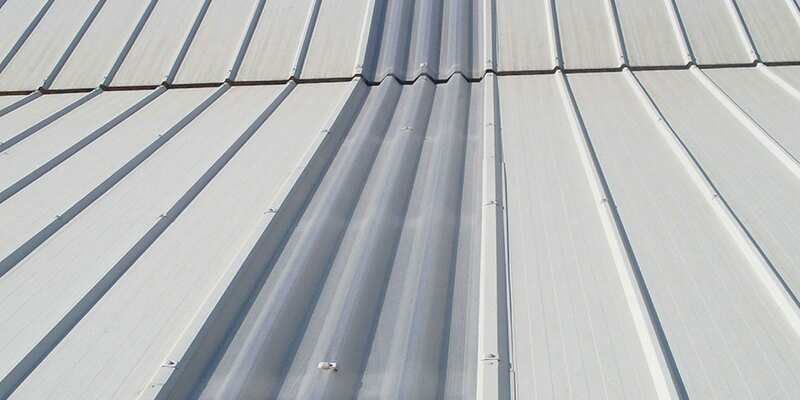 Unlike steel or aluminum metal roofing panels, industrial facilities do not have to worry about rust or oxidation that may affect seams, bolts, cladding and seals. 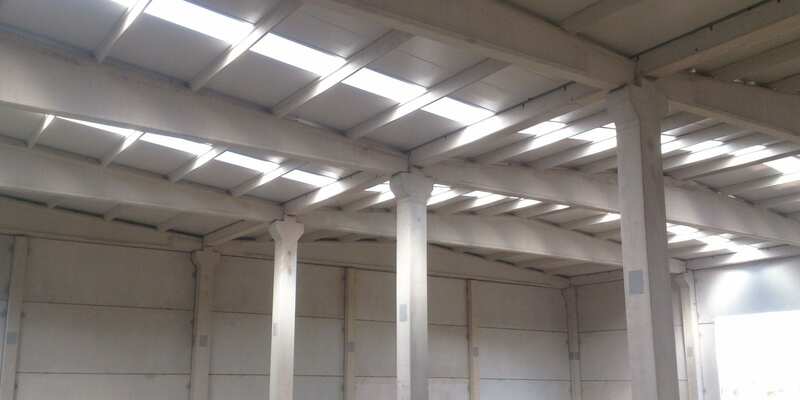 All corrugated plastic roof panels, regardless of PVC, polycarbonate or fibreglass, feature custom-molded profiles in an array of ribbed or waved shapes. This offers tremendous advantages over flat plastic sheets, eliminating water or snow accumulation and allowing for a smooth, unhindered drainage outlet. 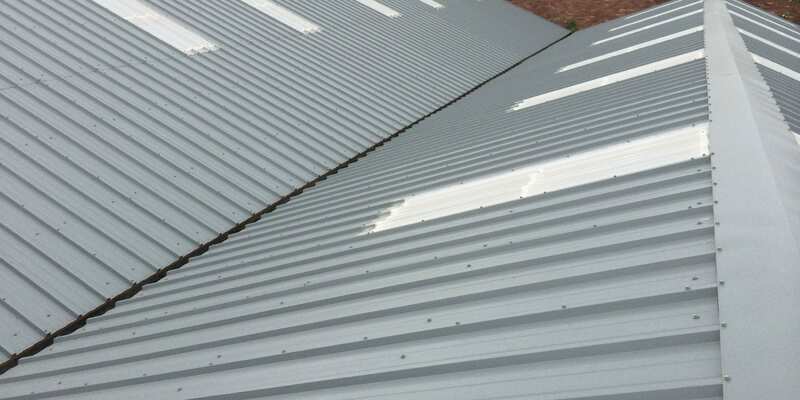 In addition, when properly installed and sealed, overlapped corrugated plastic sheeting materials further reduce the possibility of roof leakage. Clear plastic roofing materials using fibreglass can be drilled, nailed, cut and sawed without residual damage. Because of its lighter weight, handling and installing each transparent sheet onto a rooftop is comparatively easier and more labor efficient. Metal and aluminum roofing sheets carry greater cost, weight and installation considerations. Fibreglass materials do not require any specialized products for cleaning, only water and detergent. While manufacturers carry standard product lines with inherent features, most translucent fibreglass roofing panels are modified or customized to address a specific application need. This can be done at the production level, via custom resin formulations, protective film applications and proprietary gel coatings. From clear visibility to solid grey or translucent green, an assortment of colours are manufactured with varying light diffusion properties. Characteristics such as UV protection, light transmission, temperature control and tints are available, even across different product lines. Corrugated roofing panels feature custom rib profiles that can exhibit varying degrees of wind loading, stiffness, impact resistance and durability. Fibreglass roofing materials are superior in affordability than PVC, polycarbonate, and acrylic per square foot. 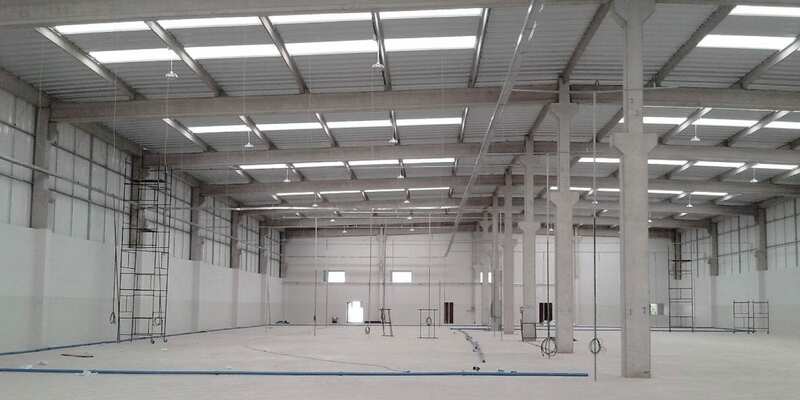 When planning on a roofing system for commercial businesses and warehouses, fibreglass sheeting helps lower labour costs due to reduced weight and ease of handling. 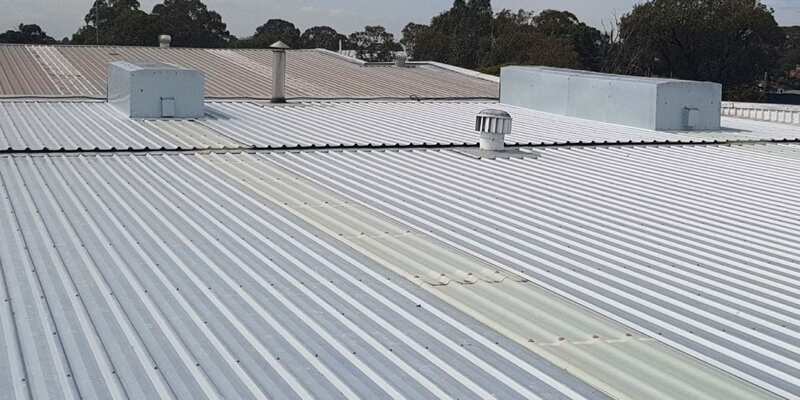 Since 1995, Ampelite Australia has supplied high-quality fibreglass roofing products, polycarbonate sheets, and other translucent roof panels to a variety of industries. Ampelite’s plastic panels are the result of over 50 years of detailed research and development in roofing material sciences. 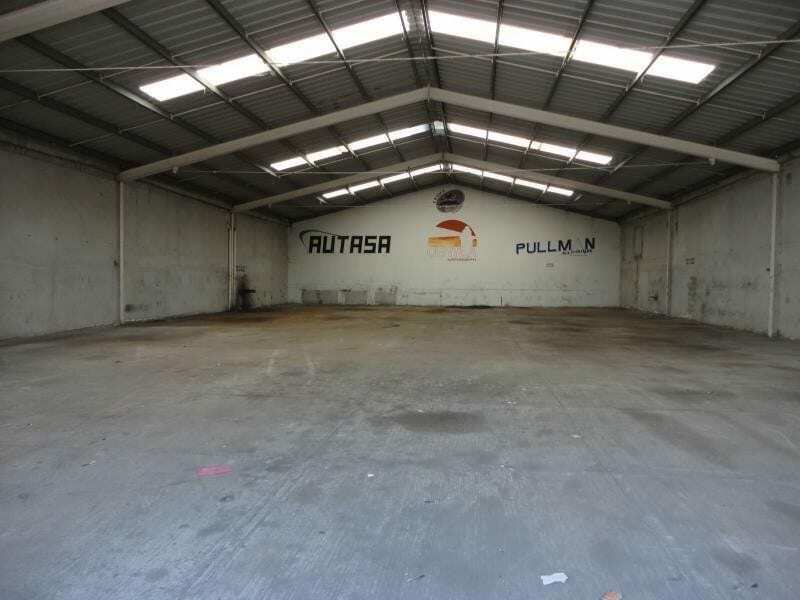 We supply and install a wide variety of industrial-grade fibreglass sheeting. You can choose from several varieties depending on your exact needs. 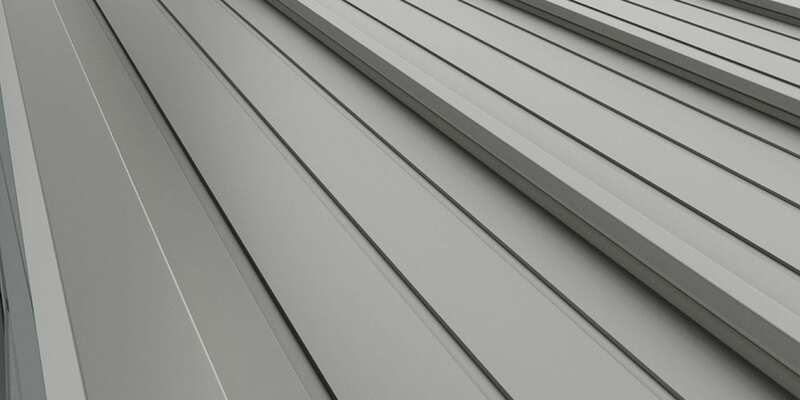 All varieties are compatible with metal roofing and cladding profiles. Industrial-grade fibreglass roofing panels come with extra-durable structure and superior light transmission. 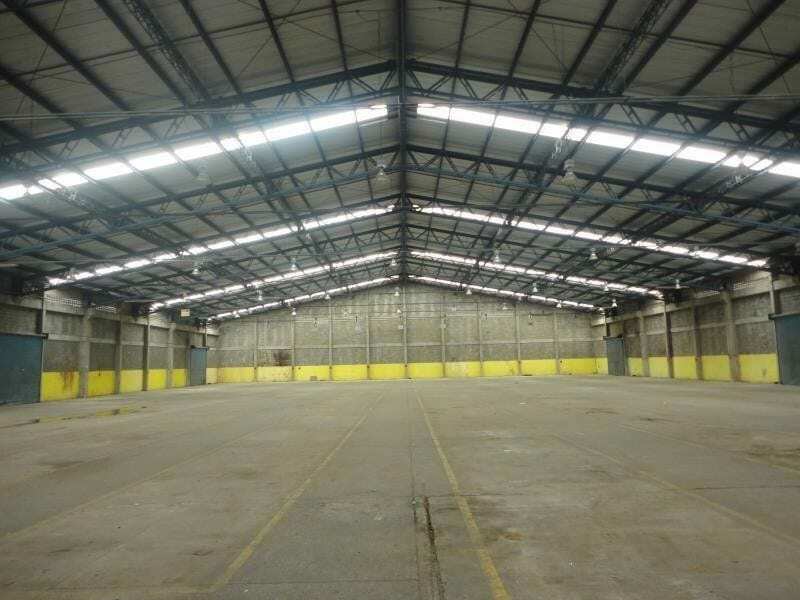 Translucent sheeting is fire tested and certified to meet Building Code of Australia specifications. Ampelite’s SR76 Smoke Reduced fibreglass roofing panels are fire certified and meet the requirements for AS1530.3 1999 standards, as conducted by AWTA Textile Testing. Cool-lite GC Premium Industrial Grade Heat Reduction Sheeting. 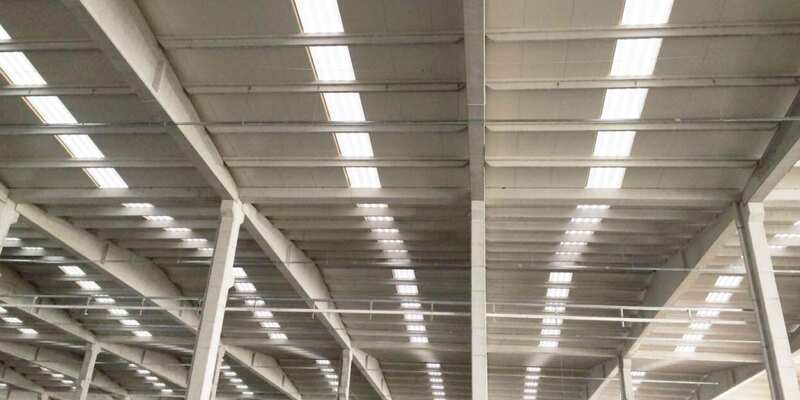 Low-cost fibreglass roof panels effectively diffuse natural light and offset heat transmission for warehouses and climate controlled facilities. The FS FireCheck comprises an intumescent impregnated glass tissue which is manufactured within the Ampelite sheeting. The chemicals are halogen-free meaning they are nontoxic. The simplicity of the approach to using the tissue and locating it at the surface of the sheet results in no loss of strength or stiffness within the composite section. 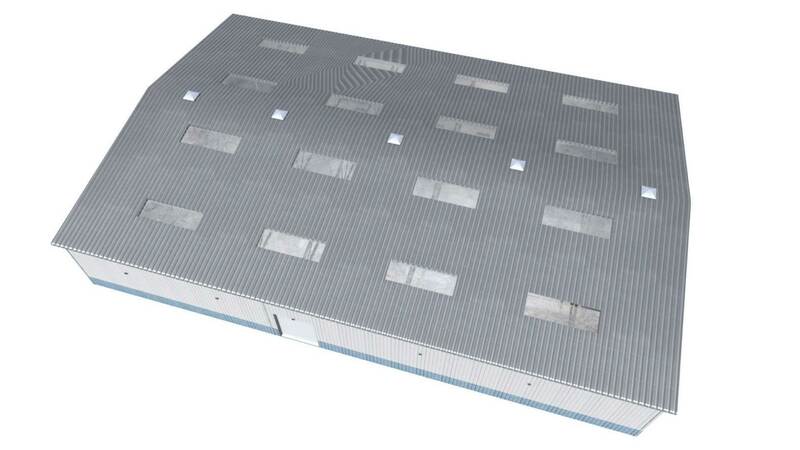 The Ampelite EEFAS panel has been developed to compliment all insulated steel panels as produced through various manufacturers. As a totally integrated composite structure, the Ampelite EEFAS System provides benefits that traditional translucent skylights cannot achieve. 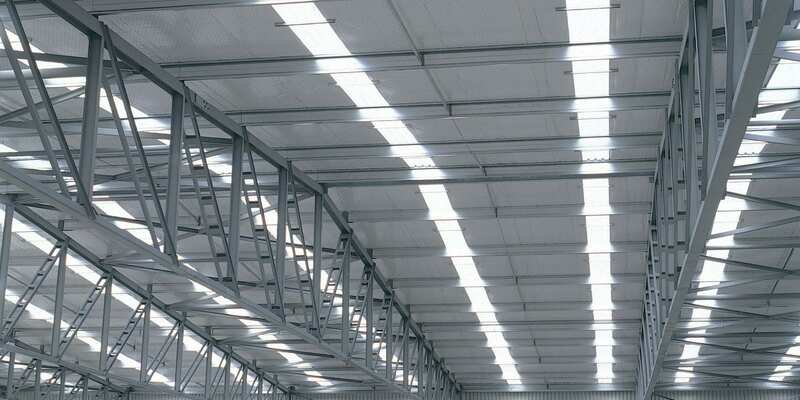 Ampelite, Australia’s most experienced and largest manufacturer of fibreglass roofing introduced ‘Wonderglas GC’ gel coated sheeting to Australia in 1994, adapting the process originally developed by BP chemicals in the United States, to expressly combat Australia’s very harsh environment. ‘Webglas GC’ polyester sheeting is reinforced with heavy gauge woven web matting that acts as a built-in safety mesh. ‘Webglas GC’ fully complies, without restriction, to the requirements of Class 2 to Class 9 buildings of the Building Code of Australia. The savings and benefits of natural daylight in the workplace and in recreational facilities can be maximised at a fraction of the cost of dual glazing with Ampelite’s Dual Roof System. This system provides good, evenly diffused natural light, eliminates condensation and reduces transmitted heat. Durable and reliable, WonderGlas GC fibreglass panels for industrial and commercial facilities perform in demanding environments, controlling the effects of UV light transmission and corrosion. Mated with a proprietary gel coating that replaces traditional surface films, WonderGlas features UV resistant resins developed by British Petroleum. 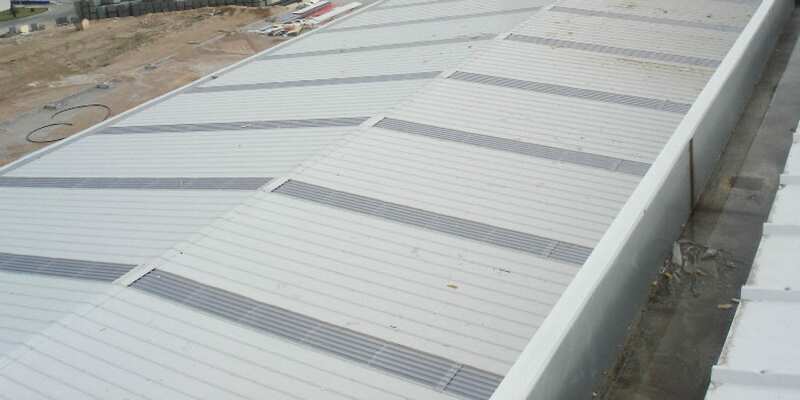 As the preferred choice for commercial roofs that require low expansion and contraction rates, Perma-Glas is engineered for seamless installation on any type of roof, including those with steel cladding. 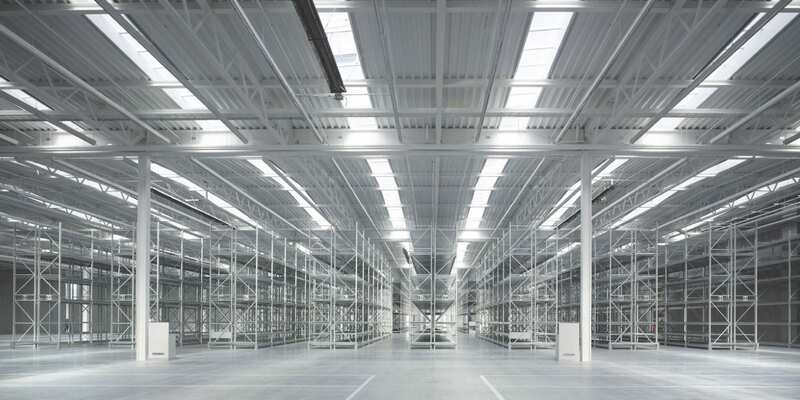 Perma-Glas can be molded into numerous corrugated profiles and is available with continuous lengths of up to 25 metres. • Perma-Glas STD – Reinforced fibreglass sheets, combined with high strength polyester film, protects reinforcing fibres and yields up to 30% light transmission loss. • Perma-Glas XL – Durable and resistant to discolouration, these plastic roofing sheets stand-up to harsh light and erosion. • Perma-Glas ULTRA – Coated with an ultra-reliable PVF, these roofing panels offer superior, long-term yellowing and light damage protection. Cool-lite fibreglass sheeting tempers light transmission while controlling heat, providing a naturally illuminated, low-temperature workspace. Cool-lite roofing panels feature our innovative UV resistant gel for reliable, long-term exposure protection. 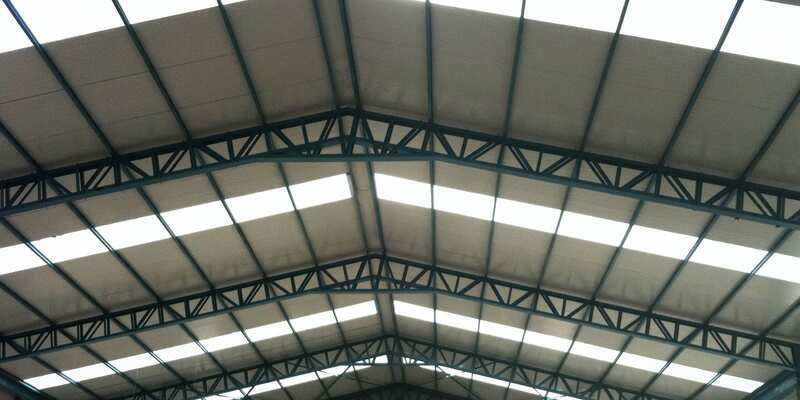 Economical and durable, these factory roofing sheets can be customized with fire retardant resins for additional peace of mind and building compliance. These translucent fibreglass sheets comply with AS 1530.3 1989 and AS NZS 4256.3 industry standards, independently tested and verified by third-party laboratories. Molded with a specially formulated, fire retardant resin, SR76 roof sheeting combines building safety and light transmission control. Like all of our fibreglass roofing products, SR76 panels are custom manufactured with features including prolonged service life, UV resistance, and low thermal expansion. Webglass GC plastic sheeting is reinforced with heavy woven matting for the strength and durability necessary in order to function in high traffic environments. With a UV resistant, gel coated surface, Webglas GC incorporates excellent translucency, chemical resistance and strength. This fibreglass panel product can be mounted without the need for safety meshes. Ideal for homes and small businesses, these highly durable, plastic roofing panels include a reinforced polyester film surface coat that stands up to weathering and harsh environments. Easy to install and available in numerous colours, WonderGlas GCP includes a versatile mix of colour shading and heat reduction. 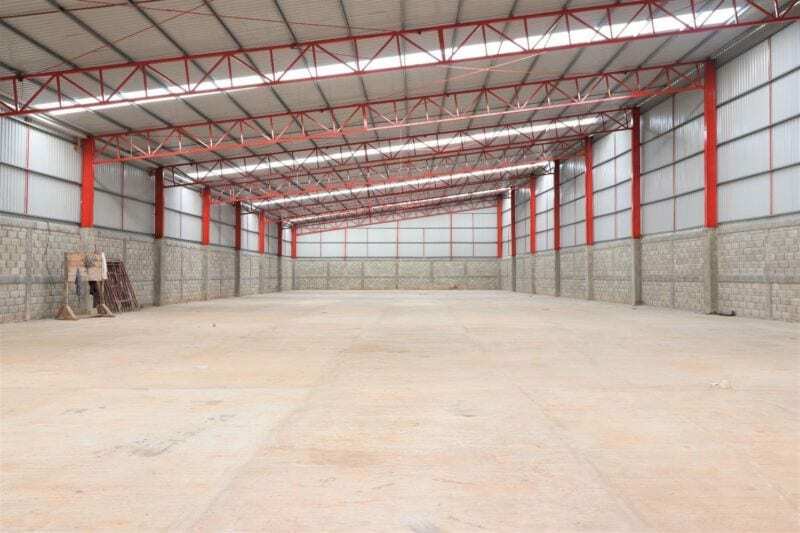 Corrugated fibreglass panels provide the resiliency needed for a variety of commercial structures such as warehouses, schools, public buildings, factories, agricultural facilities, stadiums, gardening centres and more. In chemical facilities, corrugated fibreglass panels are employed to limit light transmission while resisting chemical vapour interaction. Sports stadiums and shopping centres use translucent plastic panels to provide a mixture of natural light and shading. 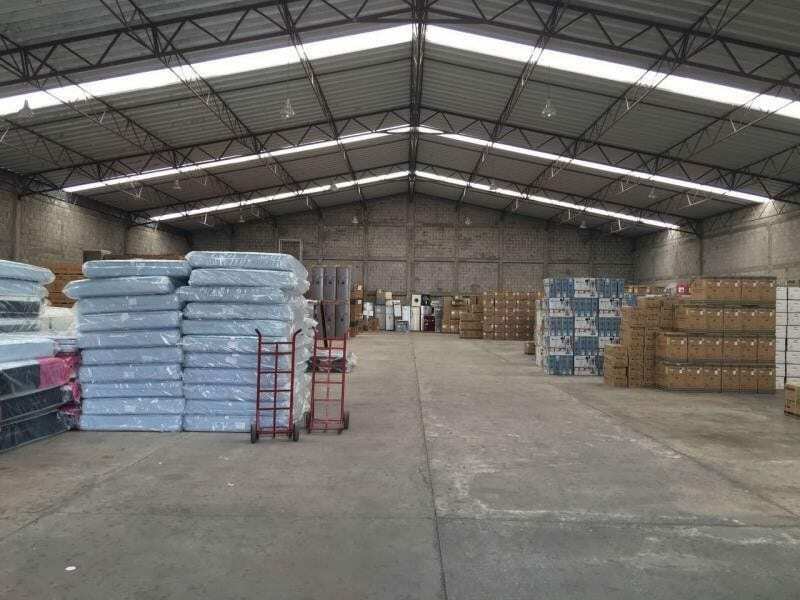 Distributors and warehouses embrace plastic fibreglass sheeting to not only offset their energy bills but also protect product inventories from UV exposure. Clear roofing materials are vital for various commercial facilities and allow for customization of light transmission, UV protection, weight, strength, temperature, and shading in accordance with their operational needs. 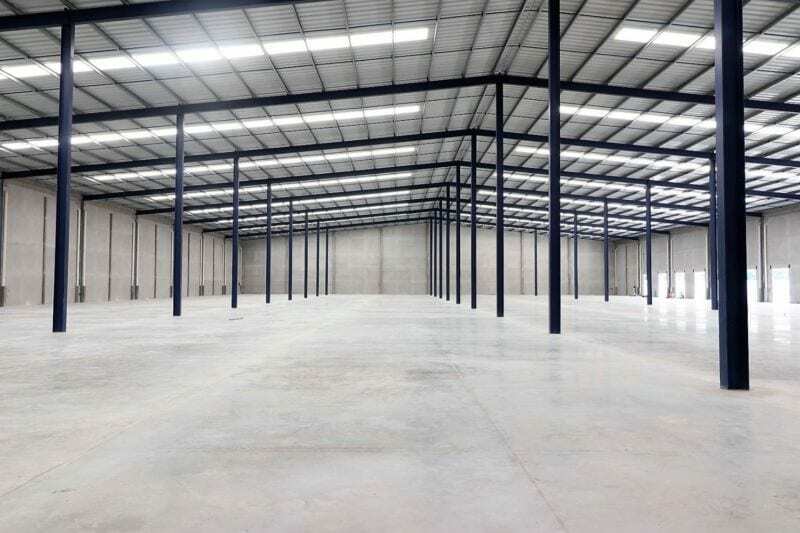 Warehouses and commercial business alike require long-term structural protection and environmental controls to preserve facility investments. Corrugated fibreglass panels, flat plastic sheeting, and other transparent roofing options offer a long-term approach for roofing design. Fibreglass roofing systems, along with many different types of translucent sheeting materials, allow commercial buildings to embrace green energy solutions as part of their business model. Clear plastic roofing products are a low cost, lightweight option that can be used in conjunction with either existing building repairs or new construction projects. 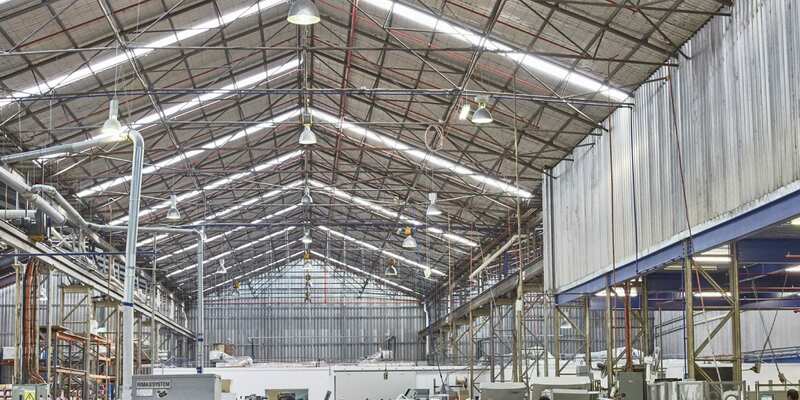 Ampelite Australia has been serving industrial facilities worldwide with natural lighting building products, supplying plastic roofing sheets made from high-quality polycarbonate, fibreglass and PVC materials. Ampelite is an ISO 9002 organization, leveraging innovative manufacturing methods for custom fibreglass roofing materials. Our team takes a consultative approach, developing solutions that align with our customer’s long-term operational goals. 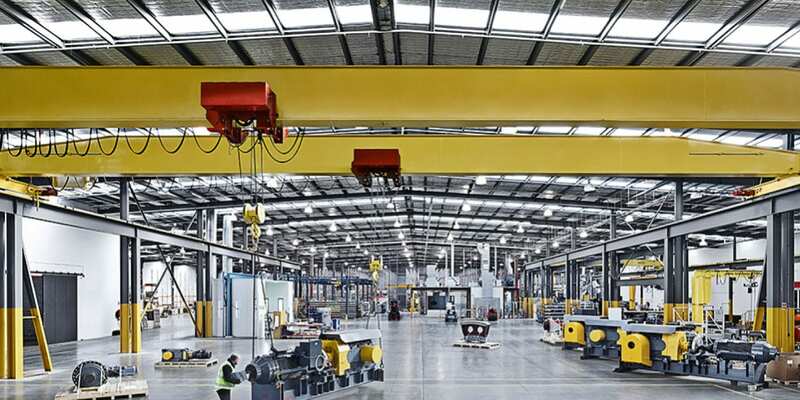 Our state-of-the-art, automated production facilities maintain the highest standards for quality, ensuring reliability and consistent workmanship.